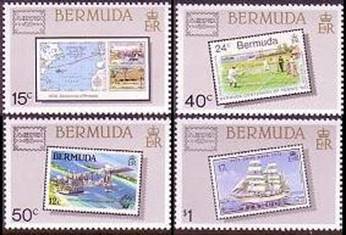 Bermuda's most cherished stamps are the Perot stamps from 1848, in three values, of which there are only 11 left (only 3 left from 1848, the year they were first issued). 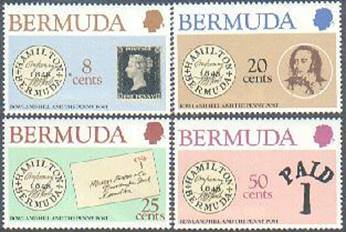 The Perots are named after William Bennett Perot, Postmaster of Hamilton, Bermuda. 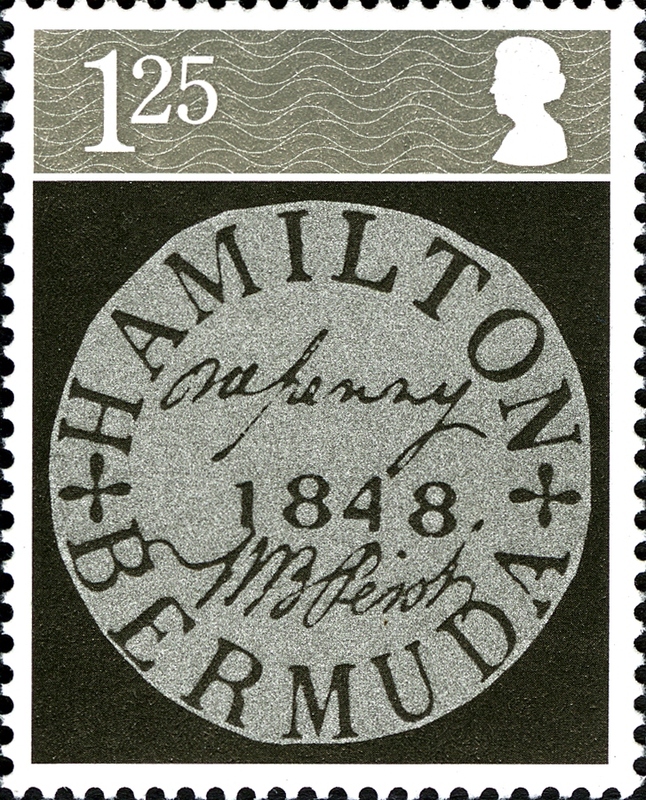 He modified a Hamilton postmarking hand-stamp, removing the month and day plugs. 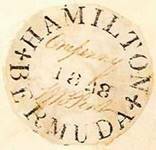 The stamp now was a circular stamp with Hamilton Bermuda around the circle and the date in the center. To make it appear more official, Perot penned One penny above the year and his signature 'W.B. Perot', below it. It was hand stamped onto adhesive paper and cut for prepaid postage, eliminating any losses from dishonest patrons. Owners of the 11 examples of the Perot provisional exist include former Premier Dr. David Saul with two; Her Majesty the Queen with four; the late Baron Stig Leuhesen's Estate (he once lived in Bermuda). The Moncrieff Cover of 1875 has three original stamps on the original envelope. 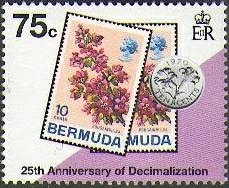 In London in 2003, one of these stamps sold for $104,885. 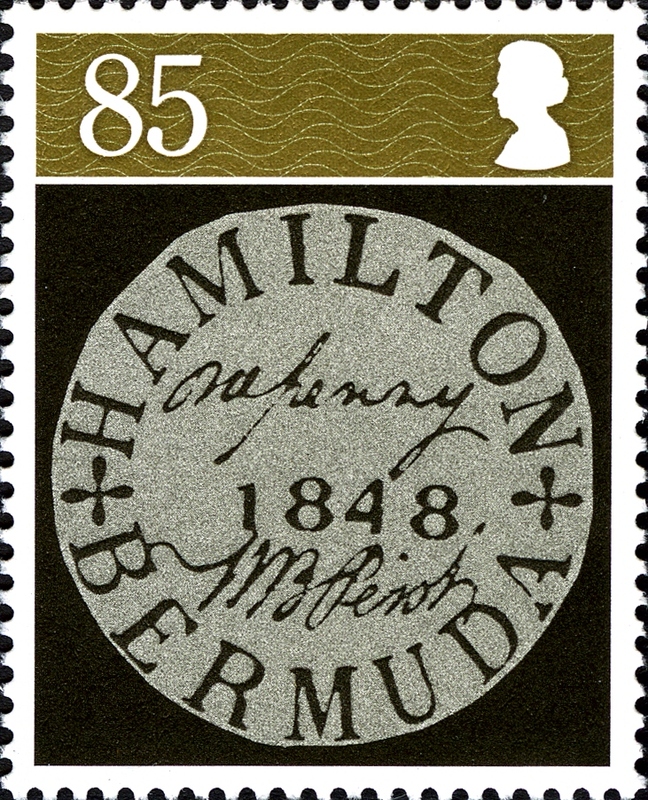 One of the many special stamps was in 1993 for Hamilton's bicentenary. 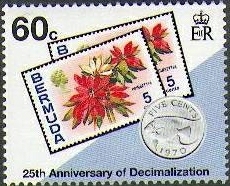 The year 2012 marks the 200th anniversary of postal service in Bermuda. Whilst the Territory’s postal history dates to 1622, there was no systematic method for dealing with mail until 1784. Bermuda’s isolation meant sporadic postal delivery with the American colonies and Britain via merchant vessels. Locally, mail was delivered by slaves or people who happened to be travelling to the letter’s destination. Ferry service was infrequent and may have carried letters and parcels. 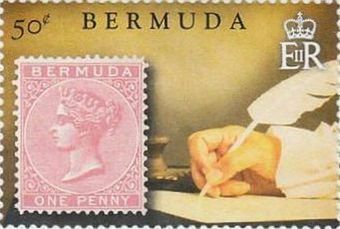 In 1784, Joseph Stockdale, founder of the Bermuda Gazette, delivered mail along with the newspaper as a public service. This successful mail system continued intermittently until an official postal system was established on March 6, 1812. By May 20, the St. George’s and Hamilton post offices had opened. Soon after, a twice-weekly service to various points on the island via horseback began. 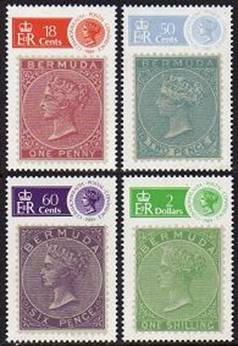 Overseas mail, however, remained a problem, so the General Post Office in London appointed a Postmaster for Bermuda with special responsibility for receiving and dispatching letters to and from the United Kingdom. 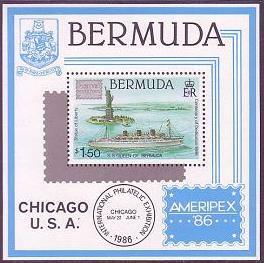 A key point in the timeline of Bermuda’s postal history was the Post Office Act of 1846, which provided for the prepayment of all inland postage. The Postmaster of Hamilton, William Bennet Perot, created his own stamps to meet the mandate of the Act. 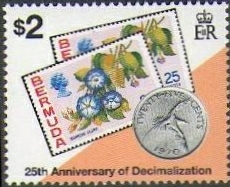 Little did he know that these stamps, which he pre-sold to the public, would become philatelic rarities. By 1865, Perot’s homemade stamps were replaced by printed postage stamps, which were printed almost exclusively using the engraved, or gravure, printing method. By the 1920s, letter carriers were established. The first airmail arrived from the U.S. via the airship Los Angeles in 1925, and on June 16, 1937, regular airmail service to New York was inaugurated by Imperial Airways’ flying boatCavalier. The volume of mail grew apace after World War II, and the General Post Office on the corner of Parliament and Reid streets in Hamilton struggled to cope, resulting in the Legislature approving a site and plans for a new General Post Office on the corner of Church and Parliament streets in 1964. 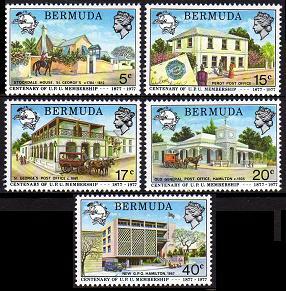 By 1967 the new post office opened. The 21st century has seen the post office move into the digital age with the introduction of R-Post for its business customers that compete on a global scale. R-Post is a registered e-mail service that brings far greater agility and speed in conducting business internationally, with the added benefit of irrefutable proof to protect against common misunderstandings related to e-mail delivery, content or time. 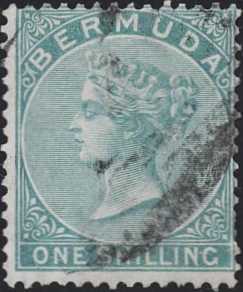 Only #s 1- 4- 6 were issued in 1865, #2 was issued in 1866 and #3 not issued until 1877.